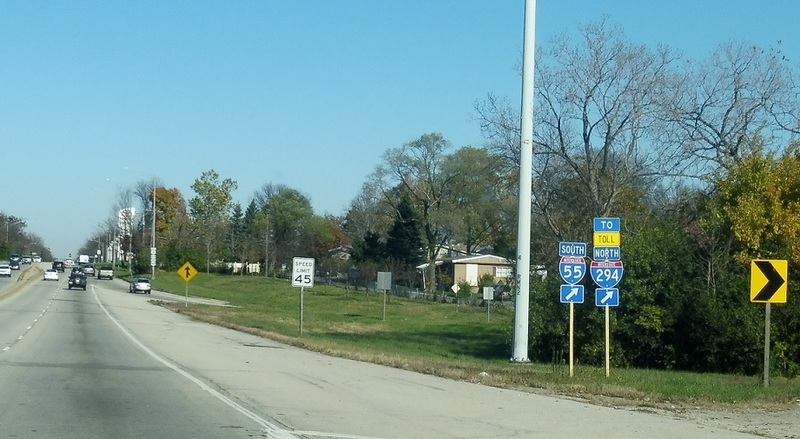 Reassurance shield after the 294/171 exit as we cross the Des Plaines River. 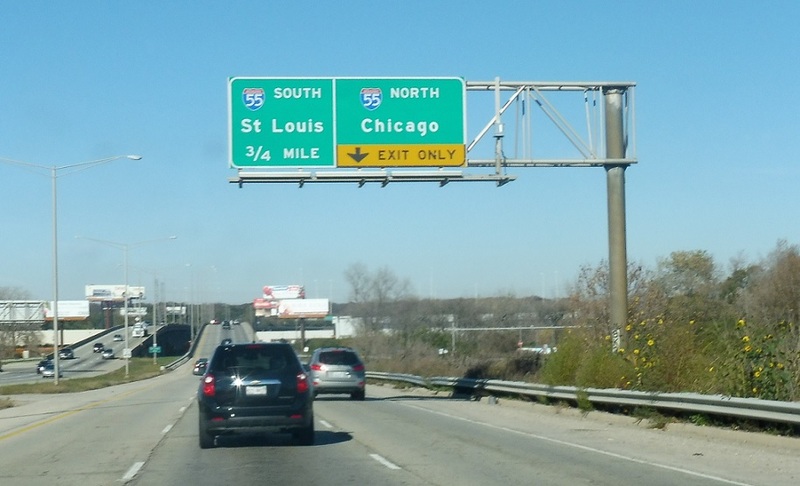 Keep right ahead for I-55 north. 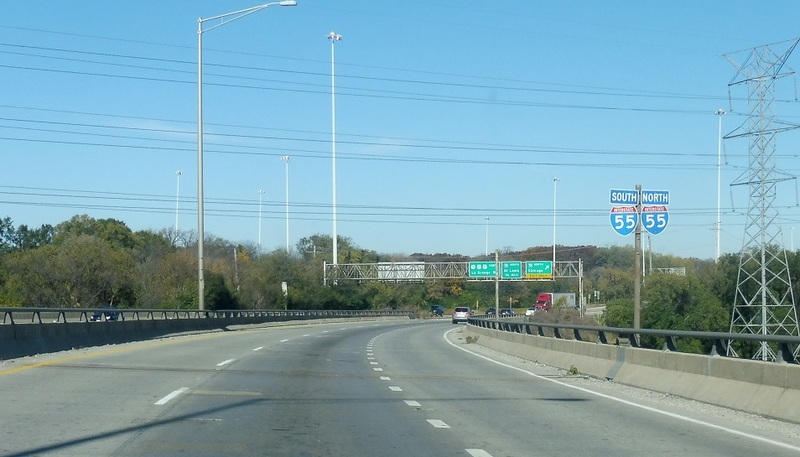 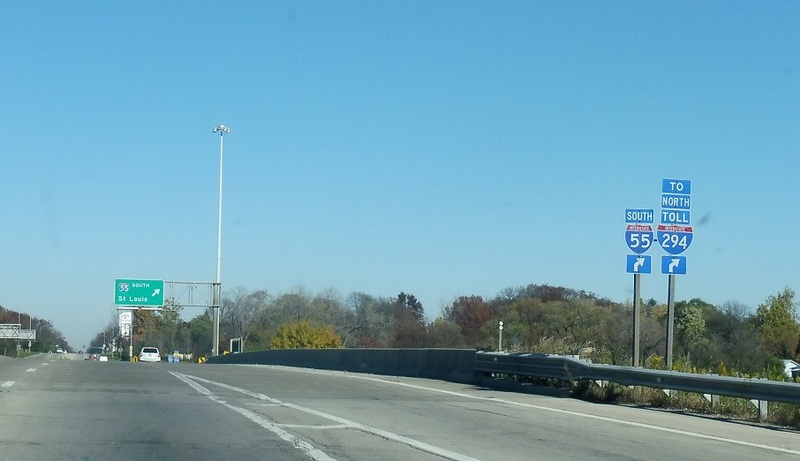 Junction I-55/Adlai Stevenson Expressway coming up. 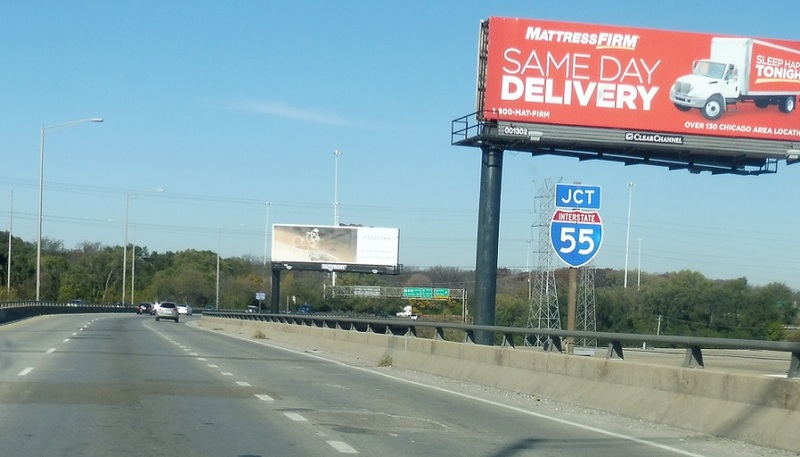 Keep right for I-55 in both directions. 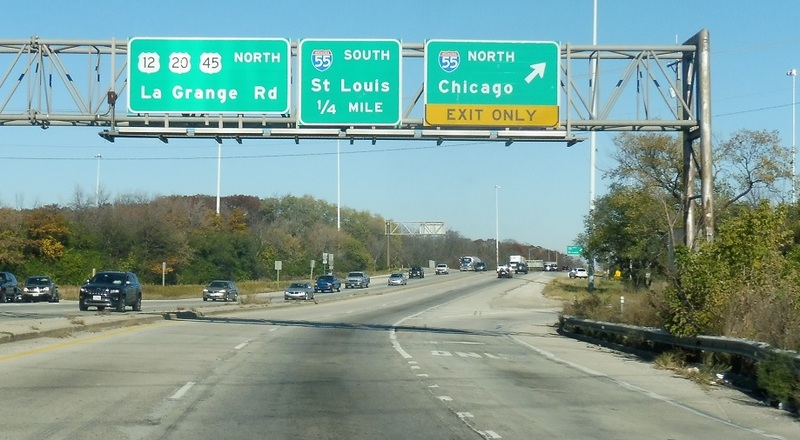 Follow the northbound Stevenson into Chicago. 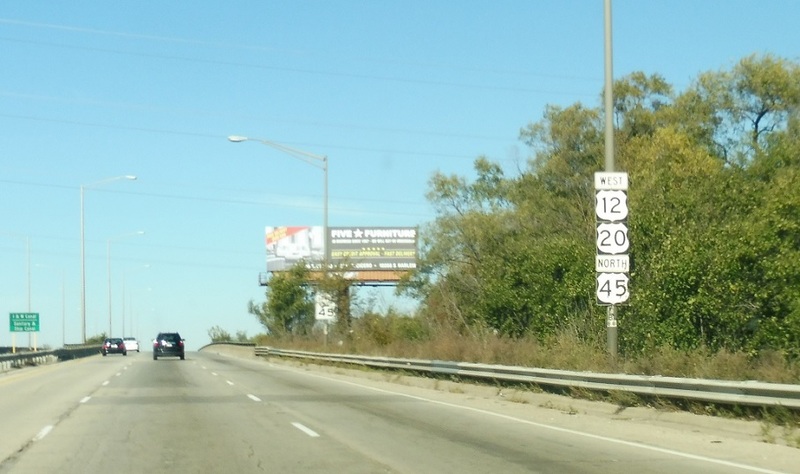 Follow the southbound Stevenson to the Tri-State. 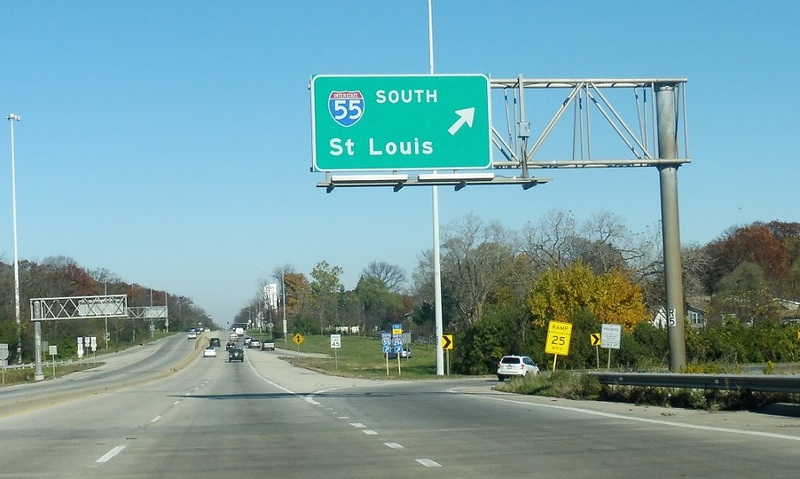 I-55 heads south to St Louis, Mo. 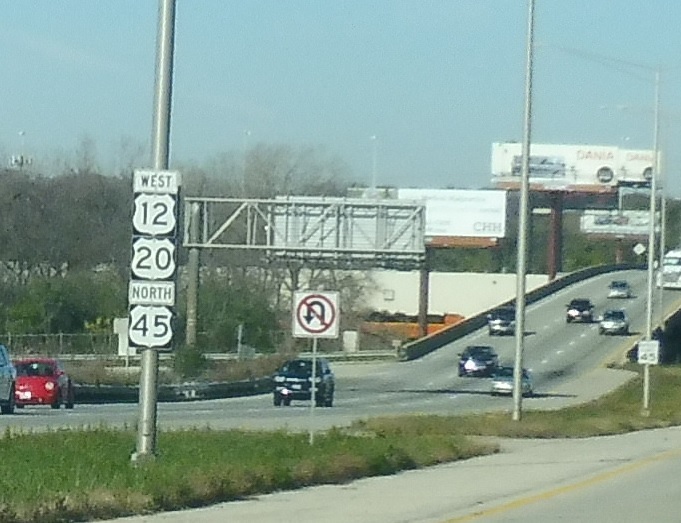 Exit for I-55 south to I-294 north.